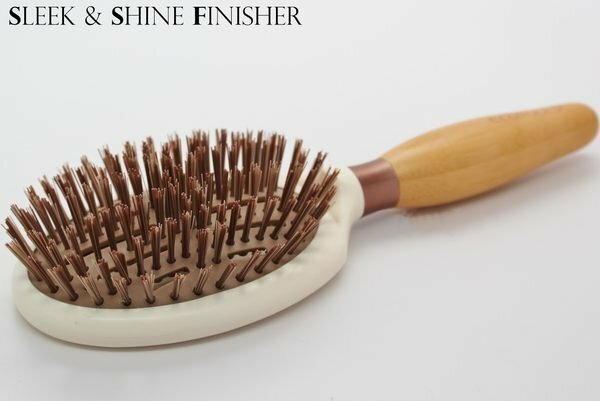 Sleek + Shine Finisher with cruelty-free bristles distributes your hair's natural moisturizers, protecting and leaving it with a sleek, lustrous shine. 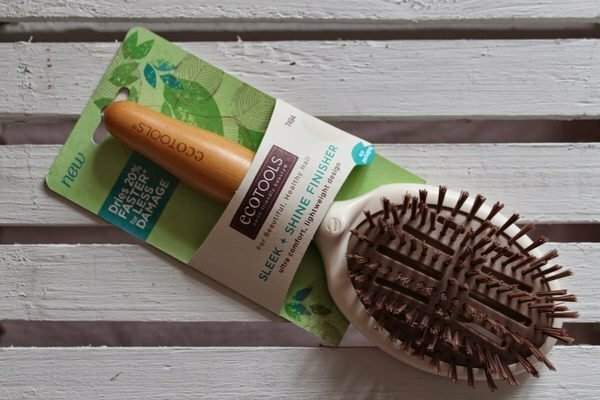 Our EcoTools Story. 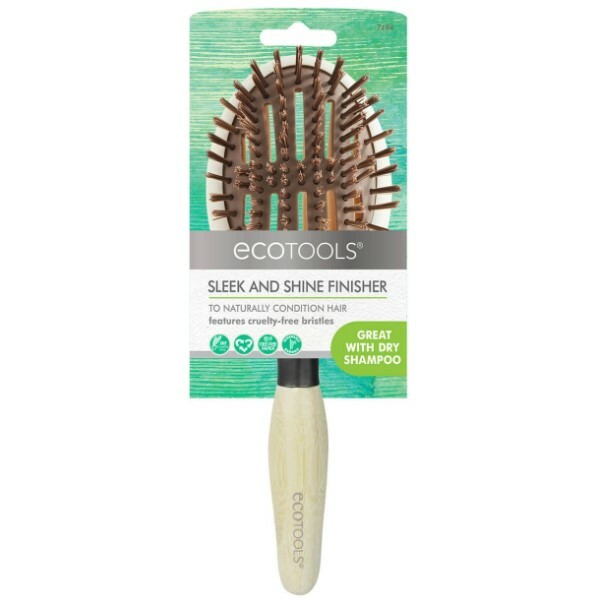 This EcoTools brush is crafted with a bamboo handle, recycled aluminum, cruelty-free bristles, and recycled paper packaging. Please take care of this brush. 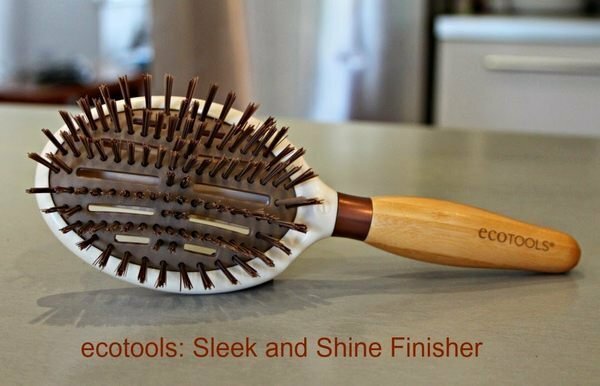 Prolonged, extreme heat from some blow-dryers can damage the cruelty-free bristles. Avoid using in shower or bath, and do not soak the bamboo handle.